We all cry, whether due to happiness or sadness. Crying is a part of our human emotional package. But a serious hard cry can leave you with puffy and red eyes. Swollen eyes from crying happen because the nervous system increases blood flow to the blood vessels in your face, especially around your eyes. Also, the skin around the eyes comprises fine tissues that are capable of absorbing your tears, making your eyes look puffy and sore. When your eyes are swollen and red from crying, you may resort to making excuses to stay home instead of going out. But how long can you escape the outside world? Go ahead and have a good cry. It’s healthy. You just need to take care of your puffy eyes afterward. Reducing the swelling around your eyes is all about cooling and moving the fluid away from the eyes. While there is no way you can prevent yourself from crying when moved by emotions (and you shouldn’t; tears contain stress hormones that you should release instead of holding back), you can definitely fix your puffy eyes. In fact, there are several remedies in your kitchen right now that can get the job done! 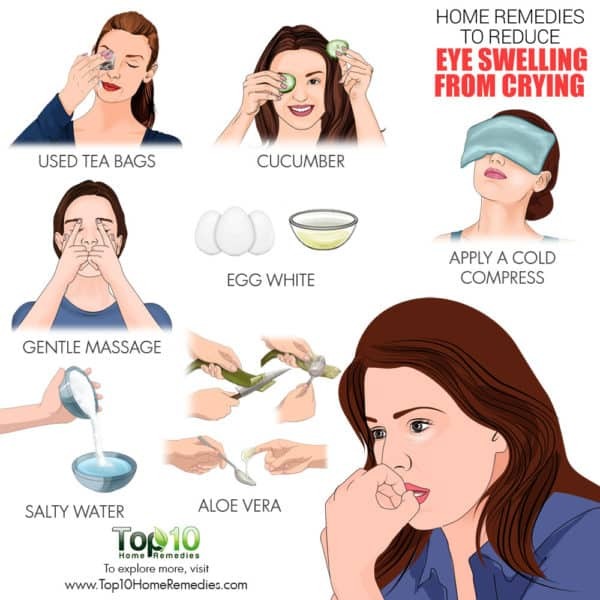 Here are the top 10 home remedies to reduce eye swelling from crying. The simplest and most effective home remedy to deal with eye swelling from crying is to apply a cold compress. The cold temperature will help tighten up the skin around your eyes as well as relax the blood vessels. This in turn will reduce eye puffiness and swelling. Wet a clean washcloth with cool water. Hold the wet washcloth against the skin under and around your eyes for 10 minutes, using gentle pressure. Do it a few times a day. Another option is to chill a few metal spoons in your refrigerator for 15 minutes. 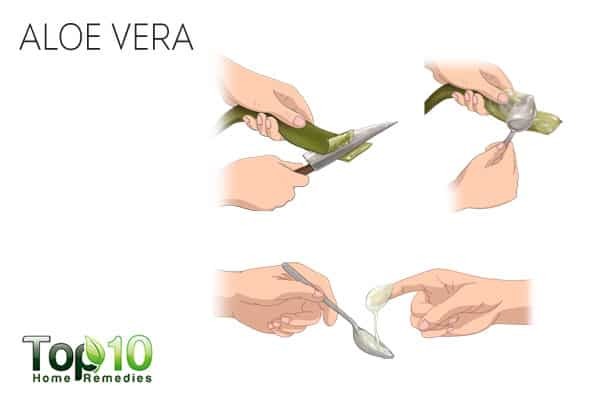 Hold the rounded portion of one of the cold spoons against your eye for a few minutes, until the spoon becomes warm. Replace it with another cold one from the refrigerator, and continue doing it for 10 minutes. Do it 2 or 3 times a day. 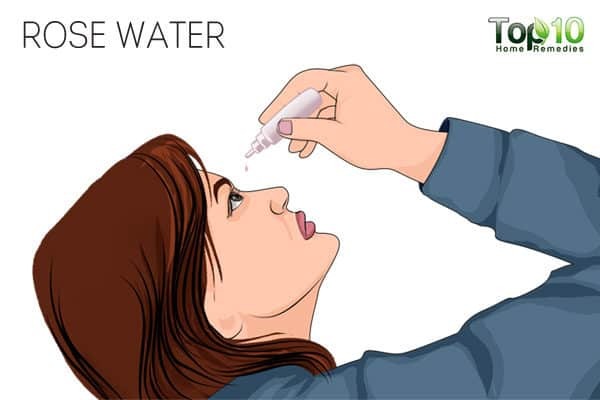 You can also splash cold water on your eyes as often as you can until the swelling reduces. Cucumber slices can also help soothe puffy eyes and reduce swelling due to crying. 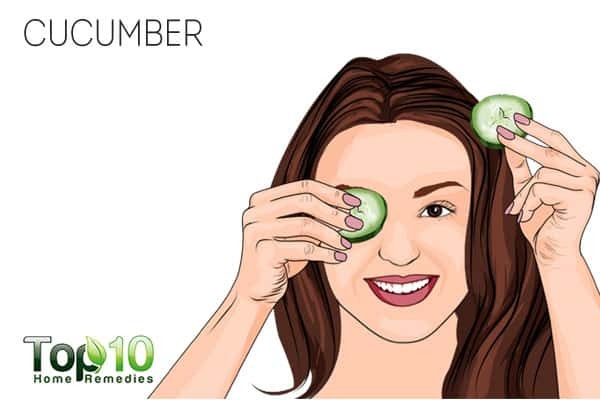 The astringent properties in the cucumber help reduce eye puffiness. A 2014 study published in the International Journal of Chemistry and Pharmaceutical Sciences highlights the hydrating, nourishing and astringent properties in cucumbers that benefit the skin in many ways (1). Wash a cucumber and cut it into thick slices. Chill the cucumber slices in the refrigerator for 15 minutes. 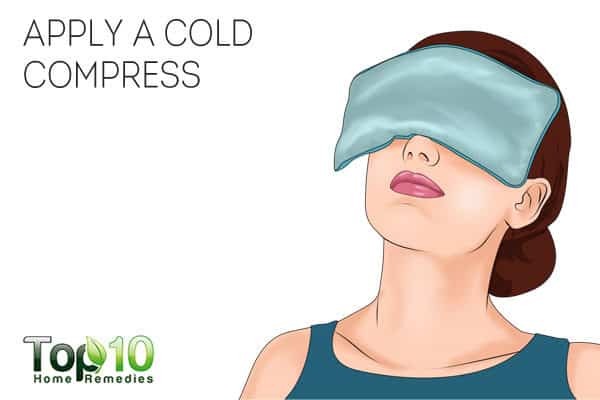 Place a cold slice over each of your closed eyelids. Replace the slices as they get warm with new chilled slices. Repeat the process as many times as you wish until you feel better. Finally, wash the area with lukewarm water. Black tea contains tannins that can penetrate the skin, ease puffiness and increase circulation. 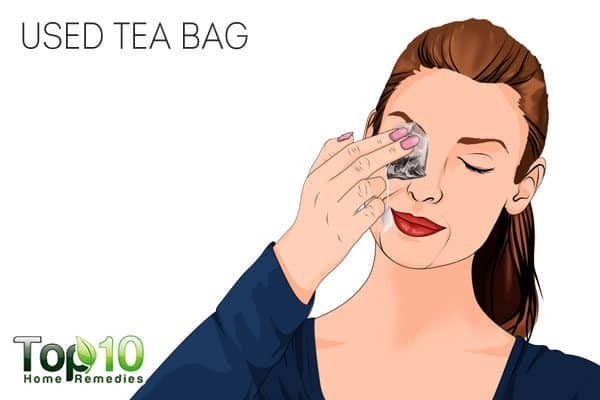 So, instead of throwing away used black tea bags, you can use them to reduce eye puffiness. A 2012 study published in the Journal of Pharmacognosy and Phytochemistry highlights the astringent properties of tannins, which are present in abundance in tea (2). Chill 2 used black tea bags in the refrigerator for 30 minutes. Repeat a few times a day or until the puffiness goes away. Massage therapy is another highly effective and easy trick to get rid of swollen eyes from crying. Specifically, massaging your nose after crying helps clear any nose blockage, making the blood vessels in the face return to their normal condition quickly. Apply a few drops of olive or coconut oil on your nose. 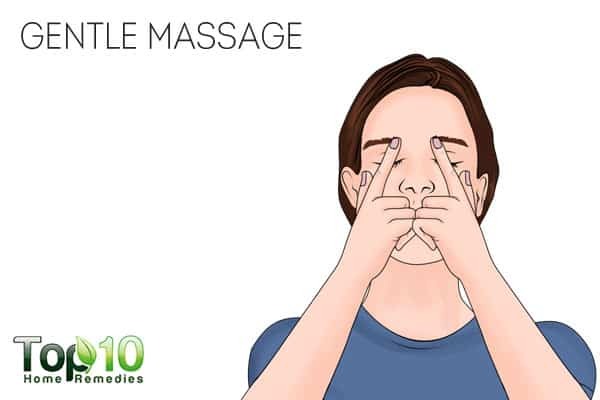 Keep your eyes closed and gently massage your nose, focusing on the bridge of your nose. After massaging, lie down with your head elevated and relax. The white part of an egg has skin-tightening properties that can help get rid of swelling around your eyes due to crying. Break open an egg and separate the yolk from the whites. 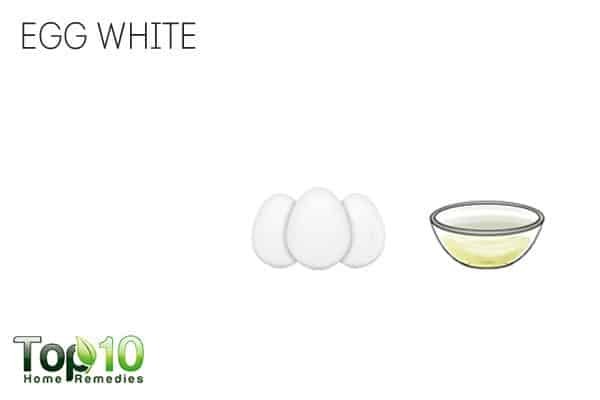 Whip the egg whites thoroughly until you get a liquid consistency. Add a few drops of witch hazel and mix well. Use a clean makeup brush to apply this mixture under your eyes. Rinse it off with plenty of water. Repeat a few times, until you feel better. You can also use salt water to reduce the puffiness around your eyes due to crying. Salt uses the process of osmosis to absorb the fluid around the eyes, which is the reason behind the swelling. Better drainage of the water trapped around the eyes helps reduce the puffiness. Add ½ teaspoon of salt to a cup of lukewarm water. Soak 2 cotton balls in this salty water. Lie down with your head elevated. Place a cotton ball over each of your closed eyelids for 5 minutes. Finally, splash your eyes with normal water. Aloe vera is also beneficial in reducing eye puffiness caused after crying. It is not only nourishing to the skin but also supports collagen production. It has astringent properties that help tighten the skin and reduce the swelling. Apply the gel on the area under your eyes. Massage gently using light strokes. Allow the gel to dry. Repeat several times until the swelling reduces. Rose water has skin-tightening properties and can help tighten the skin around your eyes. This can help reduce swelling from crying. As rose water also works as a natural skin toner, it will help clear the dark circles around your eyes. 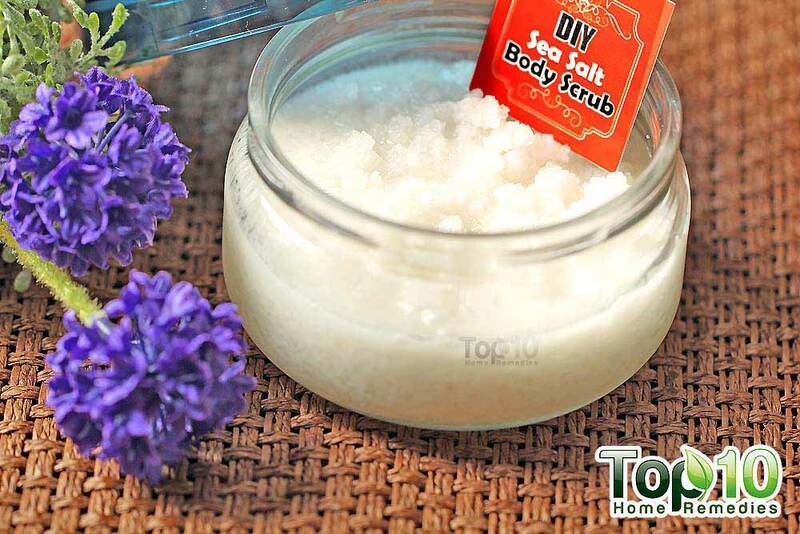 Soak 2 cotton balls in rose water. Lie down and place a cotton ball over each of your closed eyes for 5 minutes. Splash your eyes with water. Repeat as many times as you wish until your eyes look better. 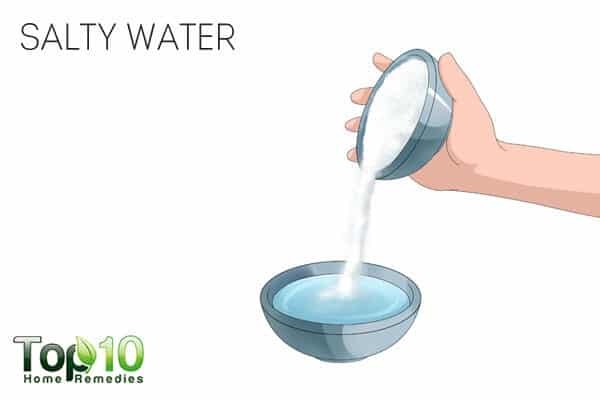 Another good way to get rid of puffy eyes due to crying is to drink water. Crying can cause dehydration, and drinking water will help keep the body hydrated. When the body is well-hydrated, there is less chance of water retention that can increase the puffiness around the eyes. 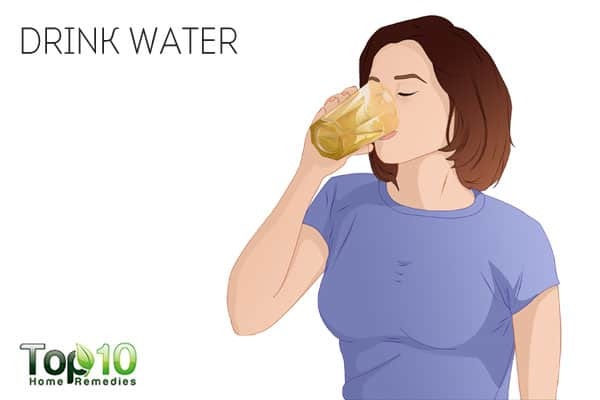 Water also helps flush toxins out of the body. Avoid consuming too much salt and skip caffeine, which causes water retention that can pool under the eyes, worsening the problem. Keep in mind that it will take time for your puffy, blotchy eyes to return to normal. So, give it time and go to sleep. A good night’s sleep is essential for healthy eye appearance. Cell regeneration happens eight times faster while you sleep, and poor, disrupted sleep stops this process from happening. Get at least seven or eight hours of restful sleep to prevent or get rid of puffy eyes. Try to sleep on your back to avoid constricting the blood vessels in your face. 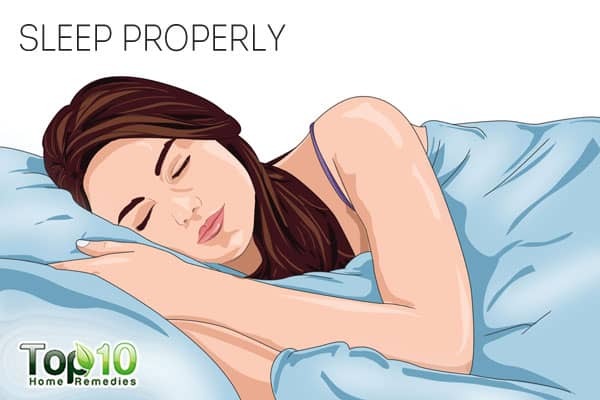 Also, use two pillows and keep your head elevated to stop fluid accumulation, which can increase the puffiness. Make sure you’ve rinsed off your tears properly before you sleep, this will help reduce the puffiness. Eye cooling gels that are applied using a metal roller ball can also help with inflammation. Applying a chilled face cream or serum can help reduce puffiness by constricting the blood vessels. For darkness of the skin under your eyes after crying, use a good concealer. This will help mask the skin darkness. Splash your face with cool water, concentrating on areas of redness or puffiness around your eyes. Avoid wiping away tears, as it can increase swelling. Instead, blot them dry. Cut down on your consumption of salt and caffeine, as they can dehydrate your body. Invigorating Efficacy of Cucumis Sativas for Healthcare & Radiance. International Journal of Chemistry and Pharmaceutical Sciences. http://www.pharmaresearchlibrary.com/wp-content/uploads/2014/04/IJCPS2001.pdf.